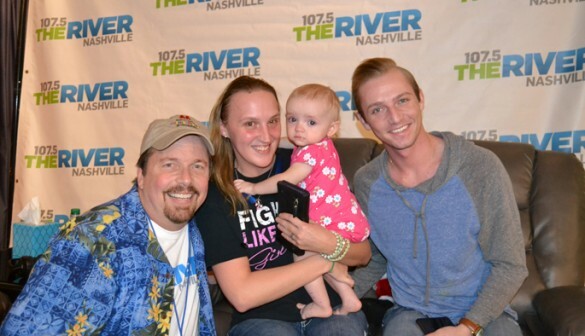 The Children’s Miracle Network River of Hope Radiothon, which aired on 107.5 The River in December, raised $110,112 for Monroe Carell Jr. Children’s Hospital at Vanderbilt. The annual event is broadcast live from the performance stage at Children’s Hospital on both days. On-air personalities Woody Wood and Jim Chandler interview patients, families and hospital staff about their stories and experiences at Children’s Hospital and viewers make pledges to benefit the hospital. Here, 107.5’s Wood, left, and producer Zac Woodward, right, vist with Tierra Duke and her daughter, Kinsley, 1.